The Govs leapfrogged Belmont to move into fourth place with a two-round aggregate of 613 (303-310)—their best-ever 36 hole showing at an OVC Championship event, and the ninth-best in program history. Murray State leads overall at 576, three shots ahead of Eastern Kentucky with Jacksonville State in third. 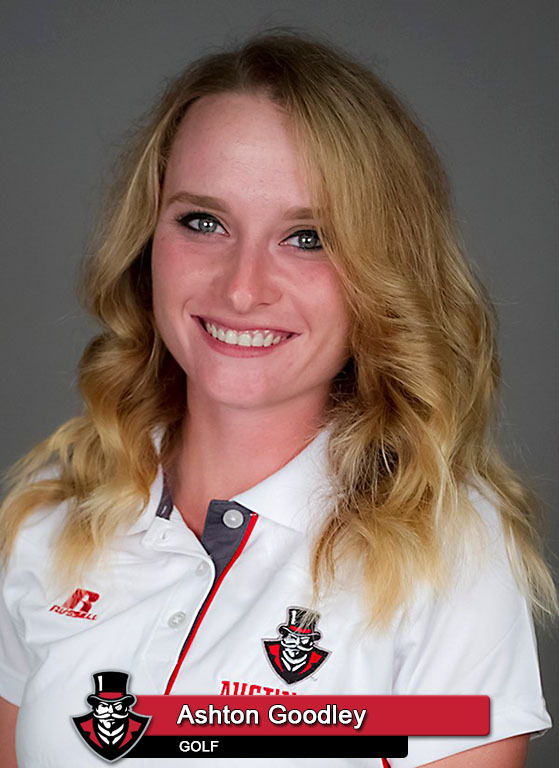 Sophomore Taylor Goodley was the big mover for the Govs on Tuesday, firing a one-under 71 to move from 28th to 11th. 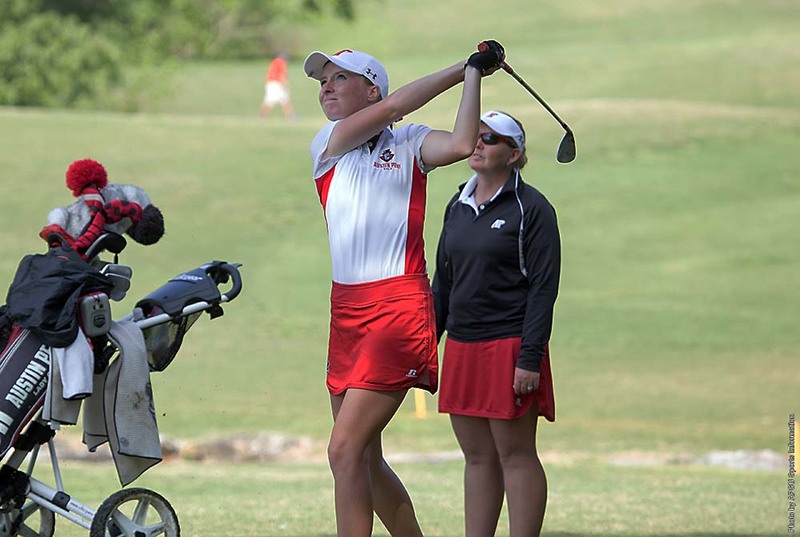 She hit three of Austin Peay’s four birdies on the day and fired a one-under 35 on the back-nine. 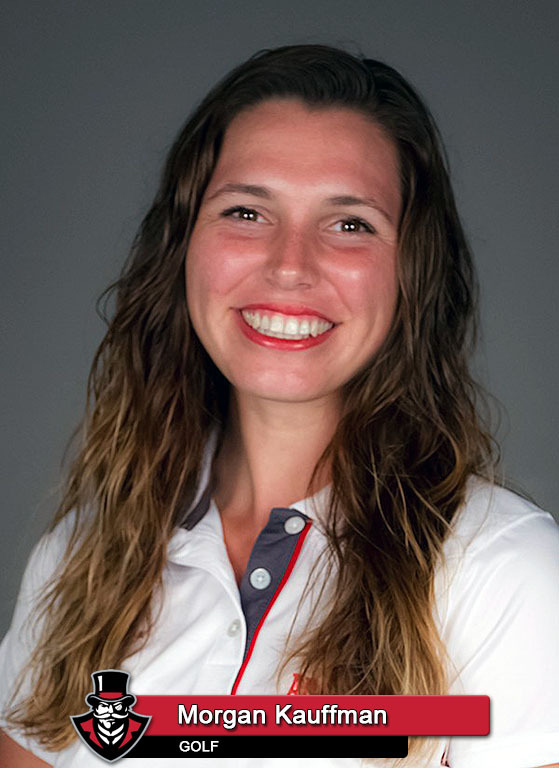 Senior Morgan Kauffman just keeps making par putts, sitting tied for 18th with 18 holes remaining after parring 14 of 18 holes in the second round to post an 80. 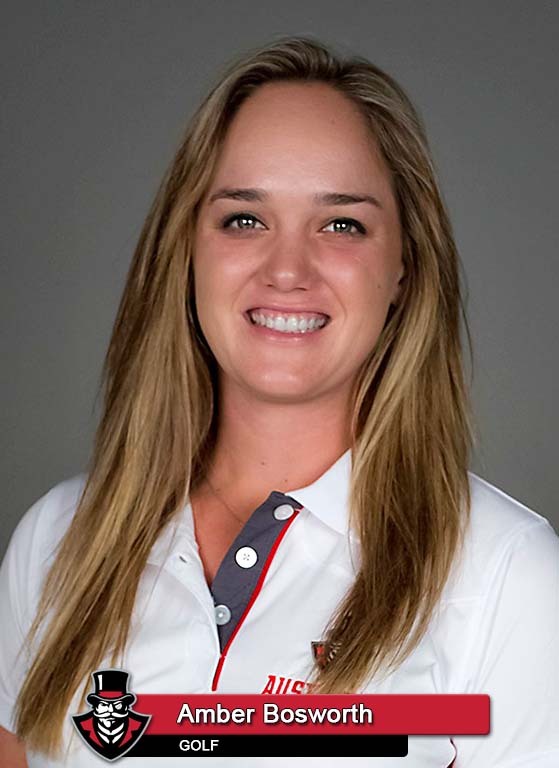 She leads all competitors with 30 pars after the first 36 holes of competition. 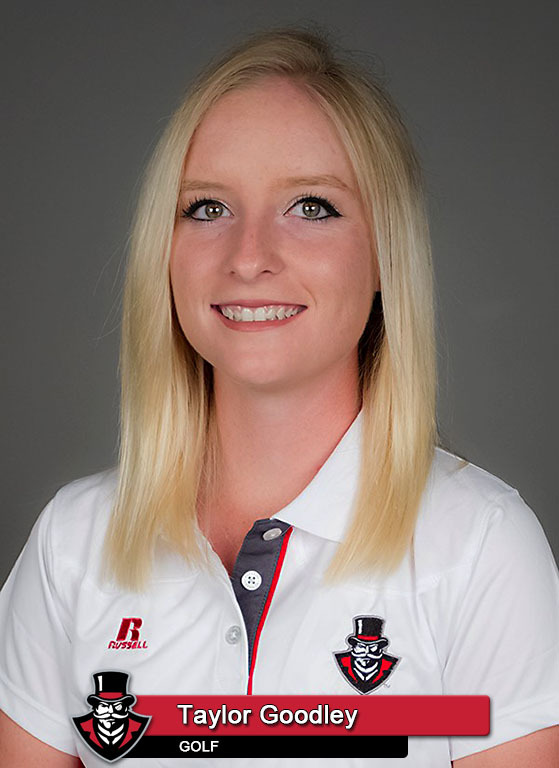 Ashton Goodley posted the second-best score for the Govs on the day with a 78; she was the only Gov aside from her sister to hit a birdie, knocking one down on the par-5 No. 17. 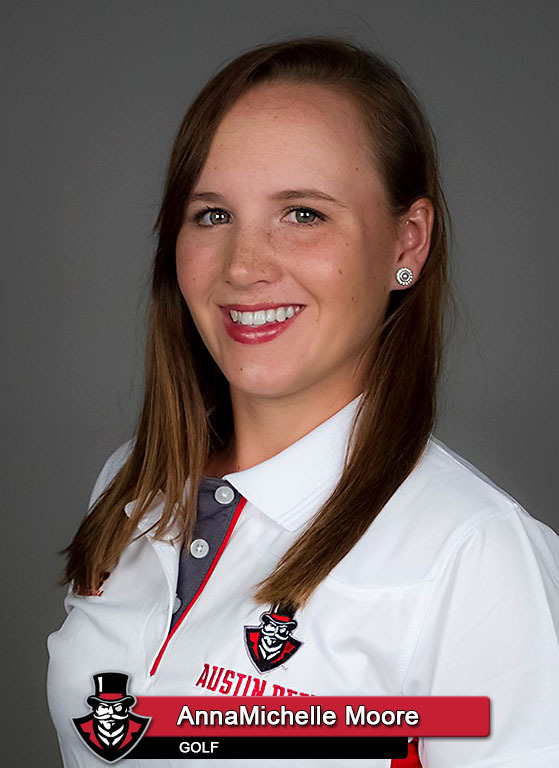 She and her sister lead the Govs in par-5 scoring (4.75 strokes/hole) for the tournament. AnnaMichelle Moore (81) and Amber Bosworth (82) each battled the on-again, off-again rain showers that popped up throughout the round to remain comfortably in the top-30 with one round left. The weather, which ushered the round in under a torrent of rain showers and clouds before clearing up to become warm and muggy, might have played a factor but Robson would not let that stand as a reason for any missed opportunities on Tuesday. “To be honest, I don’t really think weather affects our kids because we’ve played in some horrible conditions this year,” Robson said. “It’s a pain; rain gear on, rain gear off, umbrellas up, umbrellas down. But I don’t think it affected our score or our focus; we just didn’t execute shots today,” stated Robson. The Govs open final-round action Wednesday morning at 8:50am CT and will be paired once again with Belmont and Morehead State.